Now that the new iPhones and iPads have been released, consumer excitement and anticipation has moved towards the fabled Apple Watch – the device which, according to Jony Ive, took three years to create. We know that the smartwatch from Cupertino will be available in three variants, with the Apple Watch Sport edition coming in at about $350, as announced by Apple.. However, Apple did not mention further specifics for the more ‘high-end’ versions. iGen.fr – a French website is reporting that the steel edition Apple Watch will start at $500 while the more premium gold version to be priced between $4,000 and $5,000. Earlier reports suggested that the gold version might be priced around a gob smacking $10,000, while some reports even claimed that the device will be priced as low as $1,200 to $1,000. We already knew that Apple is looking to launch the smartwatch early next year, but these reports actually put the launch timeframe around February, just before and in time for Valentines Day. An alleged internal memo leak from Apple retail chief, Angela Ahrendts earlier had put the release of the Apple Watch in ‘spring’. Apple is pitting the Apple Watch in a market that already enjoys the likes of Android based smartwatches, including the much popular Moto 360 and the LG G Watch R. Like the iPhone, Apple Watch carries the same design and user-interface philosophy, while on the hardware front, the company is pushing the device to not only work as a health / fitness tracker but make everyday life activities more productive. We know that Apple has entered into partnership with a few hotels to utilize the watch’s Bluetooth functionality to open rooms, replacing the need for electronic hotel keycards. Ultimately, future functions and possibilities will boil down to the hardware specifics that the device is released with. We’re certain that as we move closer to the release of the Apple Watch, we’ll get to hear more details regarding its pricing and available around the globe. But what do you think? 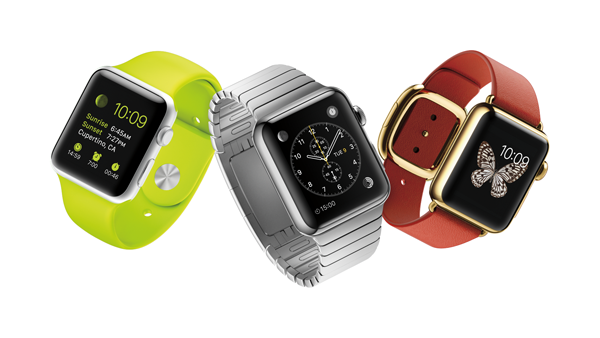 Is the $4,000 to $5,000 price tag justified for Apple Watch Edition? This is why i have stop buying apple products overpriced……. Right, for a watch I don’t think it’s a bad price. Honestly, just go to your nearest Jewellery outlet and look at prices for a Premium Watch. That’s what Apple is trying to achieve here(whether or not successful), unlike Moto 360 and LG G Watch R is like a cheaper budget (smart)watch that sits with the Timex’s and Casio’s. I believe the Sport edition is. But don’t quote me on that. Still overpriced, it’s just my opinion, well they is others options and company to buy from. So are you jumping in a pool of water with a watch on? Anytime soon? Well there are cheap alternatives made out of plastic, cheap technology run on bad operating systems. When you buy Apple, you get what you pay for. I highly doubt any model is going to be priced over $1000. As an Apple fan who is planning to purchase this watch and also own a few luxury watches in $6000-$12,000 range, I personally wouldn’t pay more than $500 for it. We all know this is technology product with a product life of 1 year. It is not jewelry! It will not retain value over time like collectable watches. The non-removable battery inside will only last 500 cycles before it start dying. It is almost certain that Apple with come out with a much better iwatch a year later after this launch. Gold trades at $1100/ox – based on this, an watch over that doesn’t make sense. If this is true then this to me is the beginning of the end for Apple. You take your watch off when jumping into a pool? 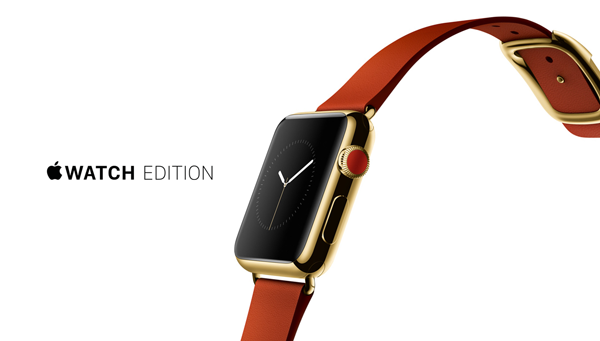 5k for an 18k gold Apple watch, that’s really funny. Are they being serious? Because for that much I’d rather go out and buy a pure 24k gold necklace, bracelet, or watch . Where the price will actually retain its value for its weight in gold. I guarantee if you tried to sell this later or take it to a jewelry store you’d be lucky enough to get 1-2k. They’d laugh at you if you asked more. Especially when they check it on the scales. I wouldn’t mind the steel or sports edition though. They must be taking some good stuff, give me some of that lol. I have iOS8.1 right now on my iPhone 5S and I had no one crash, from a day I installed it.. So iOS 8.0 GM maybe had errors, 8.0.1,8.0.2 too, but they repaired it.. And now it is better than was, and then your f*****d android smartphone.. Go out of there! They’re going to sell so many of these. When you have millions or hundreds of thousands in disposable income, this is not even a dent. High end watches go for this much and more. They’ll sell…. I won’t buy one.